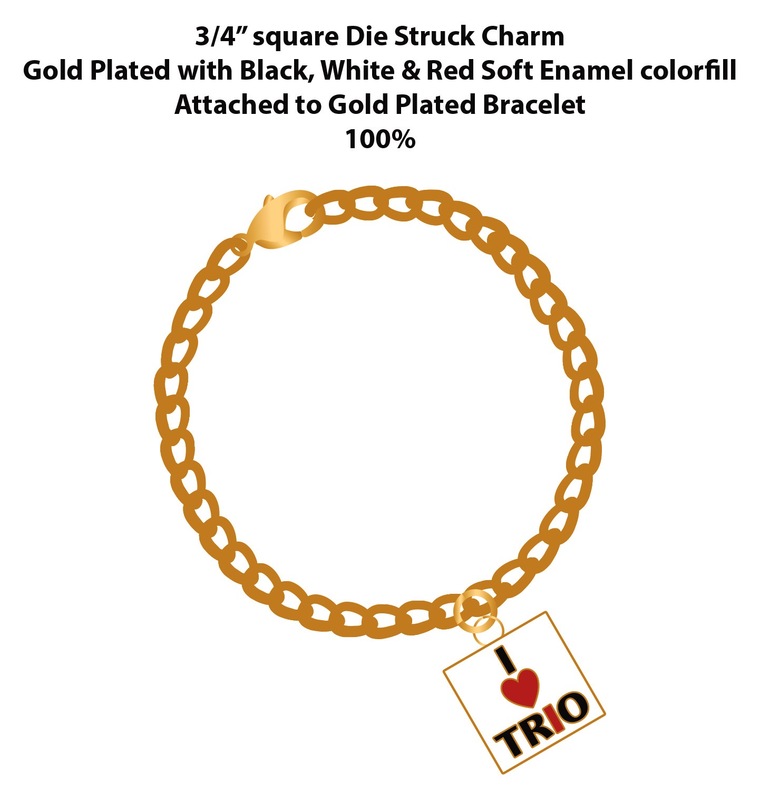 I Heart TRIO Charm Bracelet design has been finalized and Proforma is now taking pre-orders. The cost of the I Heart TRIO Charm Bracelet is $3 with minimum purchase of 25 bracelets. This is a Die Struck Iron Charm in Gold Plated finish with White, Black & Red Soft Enamel colorfill, linked to a 7″ Curb style Gold Plated Bracelet.